3.Cloud stitch filling was worked under the raised chain stitch in the first sample. 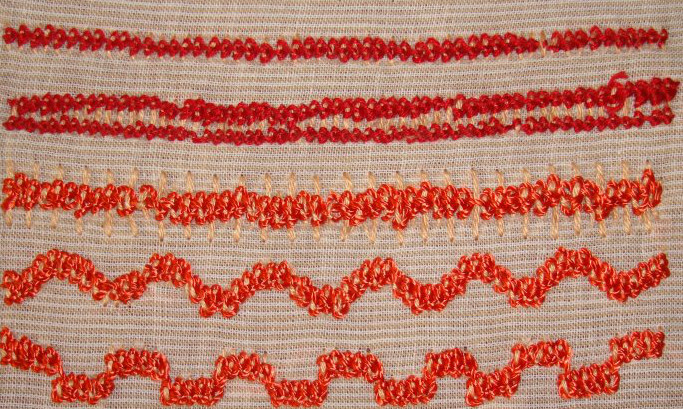 Detached chain stitches and isolated scroll stitches are worked with the second raised chain stitch sample. 4.Raised chain and basic chain are alternated in the first row, raised chain worked as butterfly chain in the second row. Raised chain is worked over single horizontal straight stitches as isolated raised chain and are worked under raised chain stitch row. Raised chains worked over arrowhead stitches in the last row. When I see the samples worked by other TAST members, I feel my raised chains are not very neat. Still I could practice! 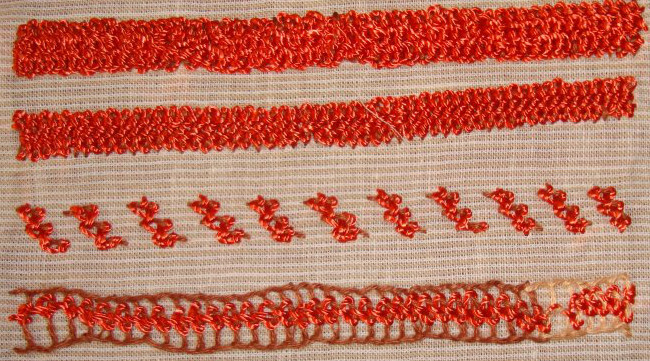 1.Raised chain stitch is worked between two rows of basic chain stitch in the first sample. 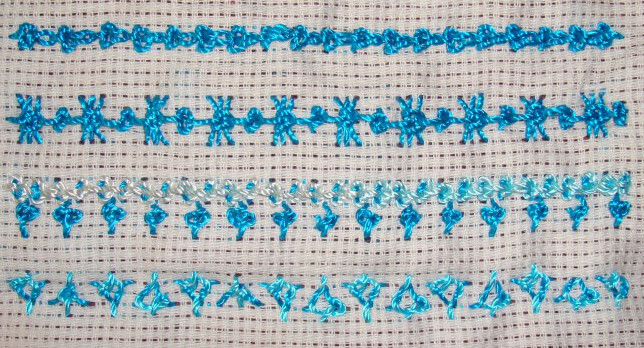 Pekinese stitch was worked on one side of raised chain as the second sample. 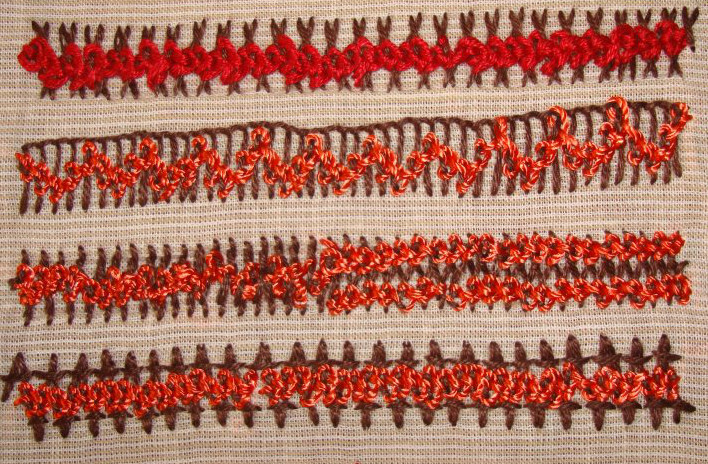 Two rows of raised chain worked with sheaf stitch between them in the third sample. 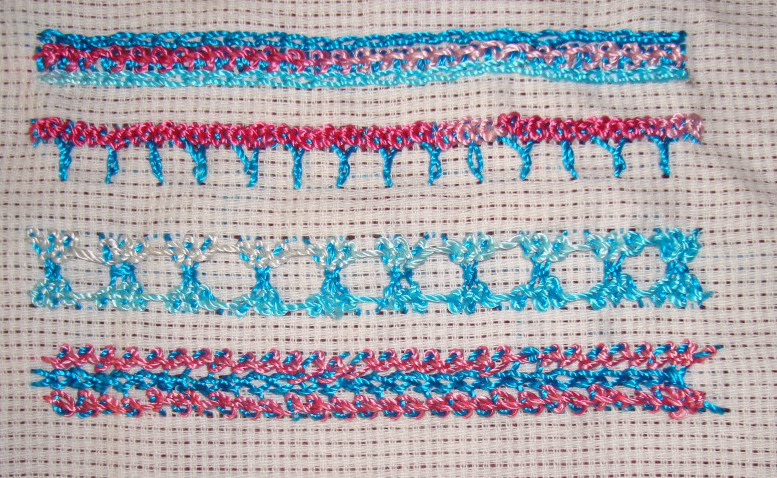 Raised chain stitches are worked over Vandyke stitch in the last sample. 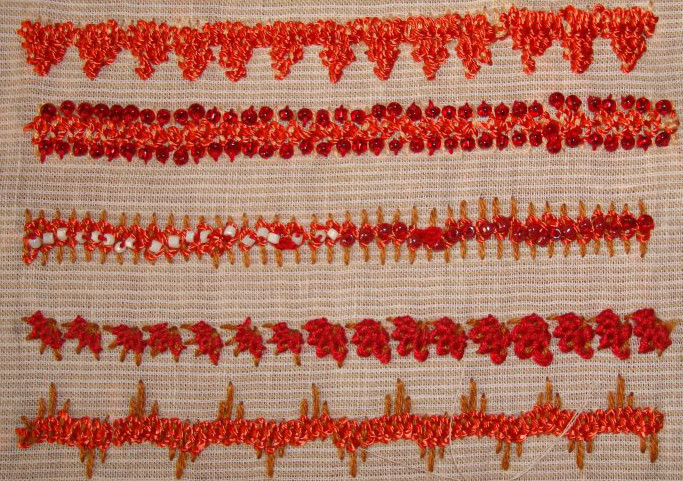 Half cretan stitches are worked at varying heights in the first sample. 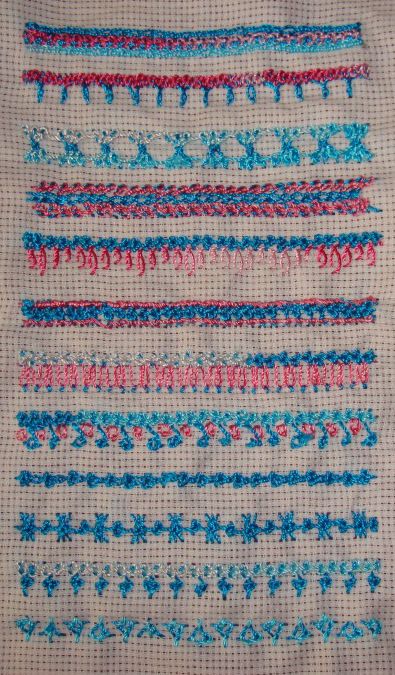 Portuguese border stitch was worked [no, attempted] on both sides in the second sample. 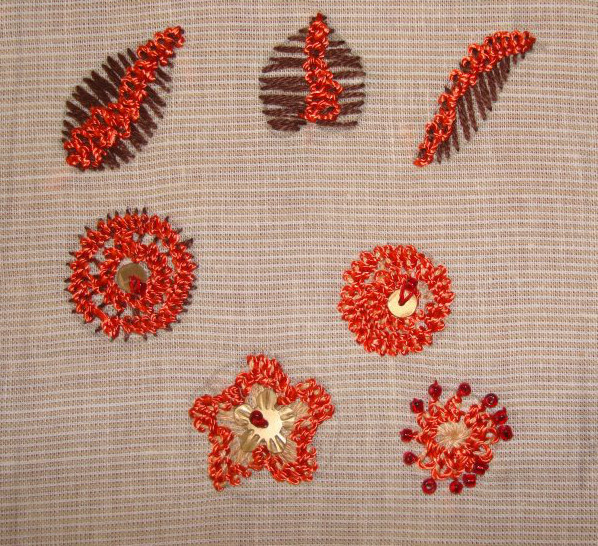 Last week’s raised chain stitch on SharonB ‘s TAST 2013 challenge was part of earlier challenge. Though I had worked the sampler, it was not posted on the blog. I am not detailing the samples because of the limited use of my right hand. Starting with the basic stitch and moving on to curved rows. Base straight stitches worked in different heights and raised chain worked with beads.